We knew launching this product that customers would use it in ways we hadn’t expected, and sure enough that has proven to be true. 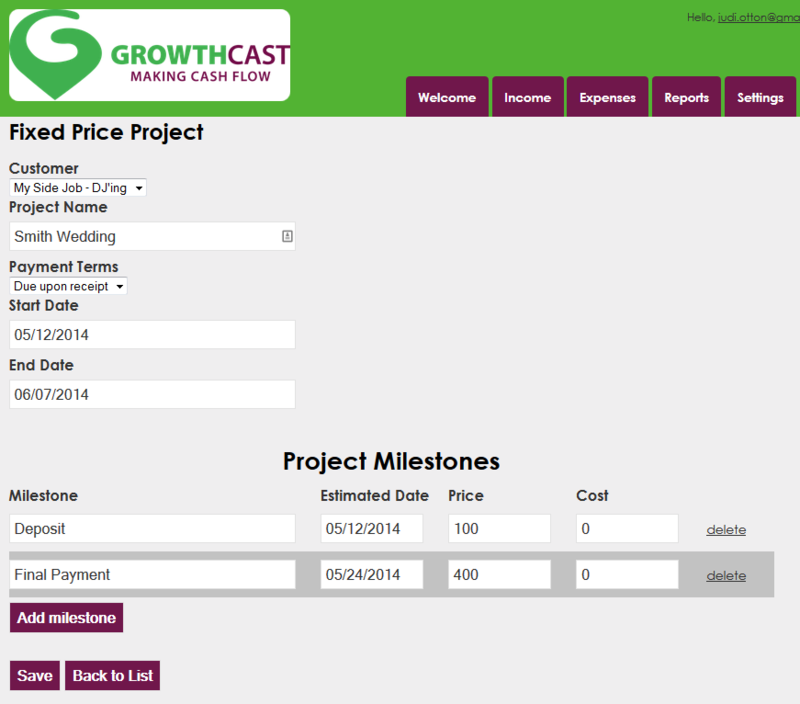 One question we got early and often was “Can I use GrowthCast for personal financial forecasting?” Our initial answer was that it wasn’t built for that, but after a bit of thought, we realized with just a few small enhancements it would work perfectly. So today, we’re happy to share that the first of these enhancements have been released. Now, it’s not perfect (yet) but it will definitely work, so let us show you how you can use GrowthCast for personal financial forecasting. 1) In Settings>Your Clients>Companies enter in the name or names of your employers. If you do freelance work, say DJ’ing, you can enter in DJ as one Client or Company. Think of these as your different sources of income. 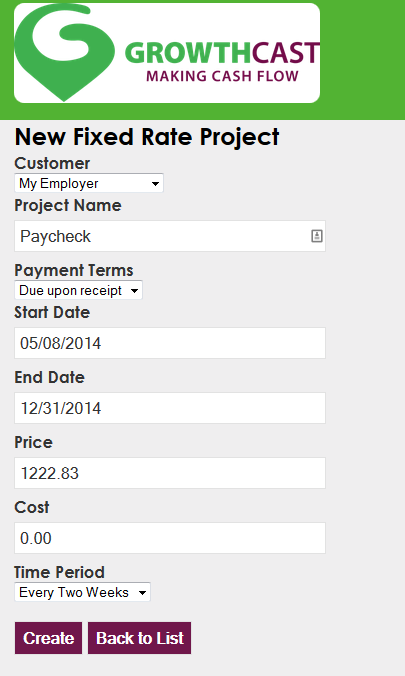 2) In Setting>General Setting, make sure your “Billing Cycle” is set to “None”. 3) If you get a regular paycheck, enter that in Income>Fixed Rate. For Payment Terms select Due upon receipt and for the Price enter in your take home pay. For the time period select every two weeks if that’s how often you get paid. Be sure to set the Start Date to a paycheck date. 5) In expenses, enter in your big bills – rent, car payment, etc. Or you can enter in your estimated spend on everything including gas, entertainment, food, insurance. Enter these in weekly or monthly as appropriate. 6) It’s as easy as that. Now you can see on a daily basis your cash position with the Cash Flow Forecast Report, or on a monthly basis your budget using the Yearly Revenue Report. We’d love to have your input on this (or anything else). Is this useful? Would you like to see more features? Thanks so much for your feedback. That’s what’s making us better!